WYTHEVILLE, Va. – Steve Willis, East Wytheville’s newly elected representative on the Wythe County Board of Supervisors, took the oath of office Friday afternoon. 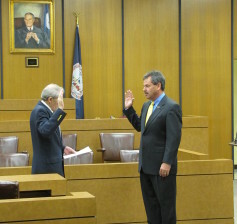 Willis, who has lived in Wythe County since 1976, was surrounded by family as Clerk of Court Hayden Horney administered the oath. “I would like to see Progress Park reach capacity with new businesses and opportunities for the people of Wythe County,” answered Willis, when asked what he would hope to see accomplished while serving on the board. An honors graduate from James Madison University, Willis has worked in the trucking and logistics industry since 1985. After seventeen years of employment with Volvo Trucks, Willis left the company in 2002 to become general manager for Camrett Logistics. 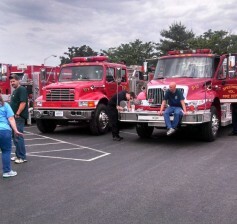 SPEEDWELL, Va. – Firefighters servicing Wytheville, Rural Retreat and Speedwell now have dozens of new fire hydrants at their disposal. Last week, the Wythe County Water Department approved the use of fifty-six additional hydrants, stretching from East Lee Highway to the community of Speedwell. The ten-mile line of hydrants will bring the countywide number to 366, not counting fire hydrants located within the town limits of Wytheville and Rural Retreat. “Instead of having to haul water back and forth, fire crews will now be able to hook to the hydrants directly at the scene. This new process will save time and be a lot safer,” stated Ikey Davidson, Wythe County’s Emergency Manager. MAX MEADOWS, Va. — Wythe County’s Parks & Recreation Department has announced the tournament schedule for the youth basketball boys and girls JV leagues. 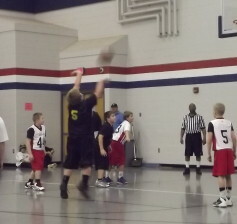 The two-day single elimination tournament will be hosted at Max Meadows Elementary School. 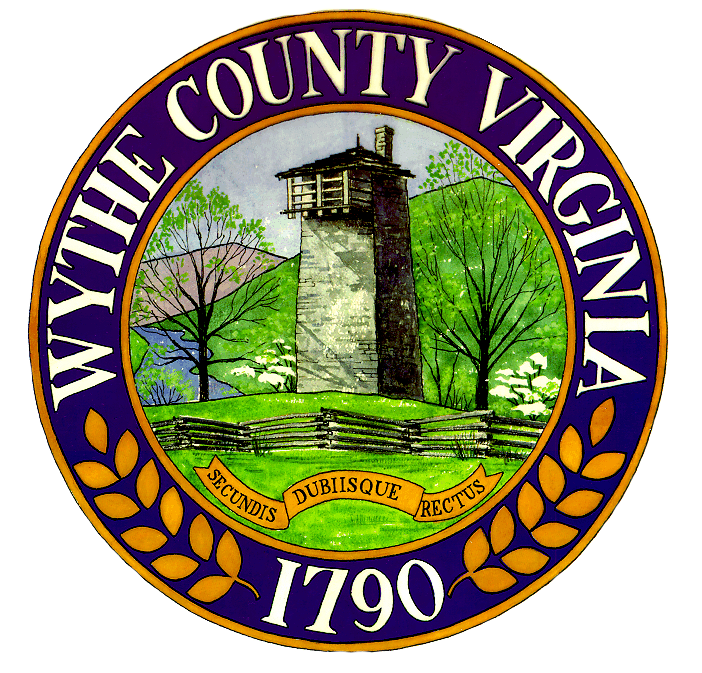 AUSTINVILLE, Va. – According to Wythe County officials, approximately 250 gallons of fuel oil was leaked into county sewer lines over the weekend. The contaminant eventually made its way into the Austinville Wastewater Treatment Plant, where it was discovered Saturday morning. Once treatment plant workers noticed the pollutant, the county’s emergency manager was contacted and workers quickly worked to contain the unauthorized substance. “Due to the swift actions of everyone involved, we were able to contain the oil before it made its way into local waterways,” said Wythe County Emergency Manager Ikey Davidson. Much of the oil was contained through oil absorbent pads and through a process known as skimming. This Friday marks the nineteenth anniversary of the murder of Wythe County Sheriff’s Deputy Cliff Dicker. Dicker’s watch ended Tuesday, December 6, 1994, when he was shot and killed by a juvenile suspect on whom he was serving papers. 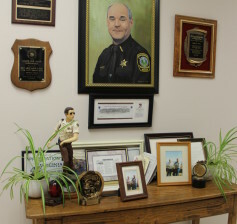 Speaking from an interview room inside the county sheriff’s office, Wythe County Sheriff Doug King spoke about Wythe County’s only sheriff’s deputy killed in action. 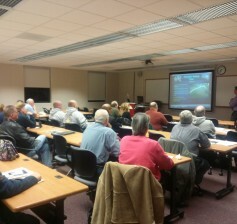 WYTHEVILLE, Va. – More than two-dozen Wythe County residents, including first responders, local officials, truck drivers and teachers came out last night for the county hosted severe weather course. The two-hour class, which was provided at no charge to the general public, was held at the Wytheville Community College. National Weather Service meteorologist Phil Hysell taught the course, focusing primarily on the formation of thunderstorms, tornados, derechos and winter storms. “In this part of the country, there’s sometimes a mentality that if there is no tornado warning, there is no danger,” stated Hysell, as he shared with the class statistics which proved non-tornado storms are often just as deadly. 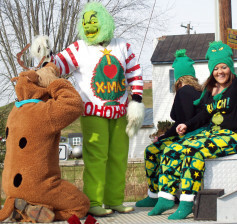 Santa’s Shop – Collection of new, unwrapped toys for children 12 years old and under, that will be distributed by the Department of Social Services in Bland and Wythe Counties. Toys may be dropped off at the Wytheville-Wythe-Bland Chamber of Commerce 150 East Monroe St., Monday – Friday, 8 am – 5 pm until Dec. 17. Café Saturdays at West Wind Farm Vineyard & Winery – Each Saturday, 11 am – 3 pm. LIVE MUSIC from Noon – 2 pm! Lunch selections for $10+. For more information or complete menus, visit www.westwindwine.com or call 276.699.2020.